Whether you own a single family home, condo, townhouse or other type of domicile, you are legally obligated to insure your property. 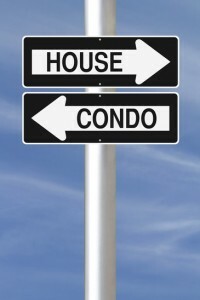 They may seem similar, but home insurance and condominium insurance provide different levels of coverage. Check out ARC’s guide below to get the low-down on the difference between these types of insurance. Cost of interim accommodation in the case of severe home damage. Neighbourhoods and communities can have shared-use areas where homeowners contribute towards maintenance and upkeep. This may also include insurance, so always provide full documentation to your ARC representative. Do you own multiple properties? Are you considering upgrading or downsizing to a new property? Or maybe you are simply curious about the ins and outs of property insurance? Regardless, contact or visit ARC Insurance today for a full explanation… and a free estimate!